Continuously monitor solar array performance displaying power, energy, revenue, status and trends on your PC or mobile device. SolarVu® can be installed on systems of any size. It works with inverters and equipment from many different vendors. Receive a daily email report of income earned from your solar generation system. Get alarm messages when problems occur. Remotely view live inverter measurements and logs to speed up troubleshooting. Calculate ROI with the payback calculator or download lifetime data for performance analysis. 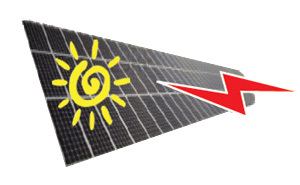 Solar PV systems use a separate energy portal called SolarVu which is optimized for solar equipment. Click here for more information about SolarVu.